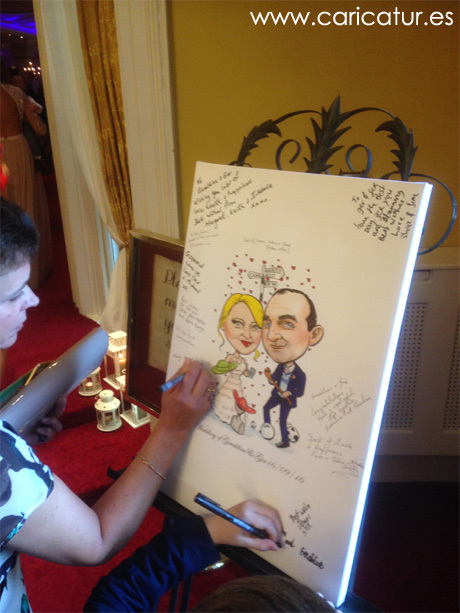 Pictured above is one of my canvas caricature wedding signing boards. These unique and highly customisable signing boards are a fun alternative to a guestbook, and you can see all the signatures at once! I’ve incorporated many of the important features of the couple’s lives, including their careers, hobbies and places that are significant to them in the signpost. Also featured is their pet dog Honey, an important member of the family! 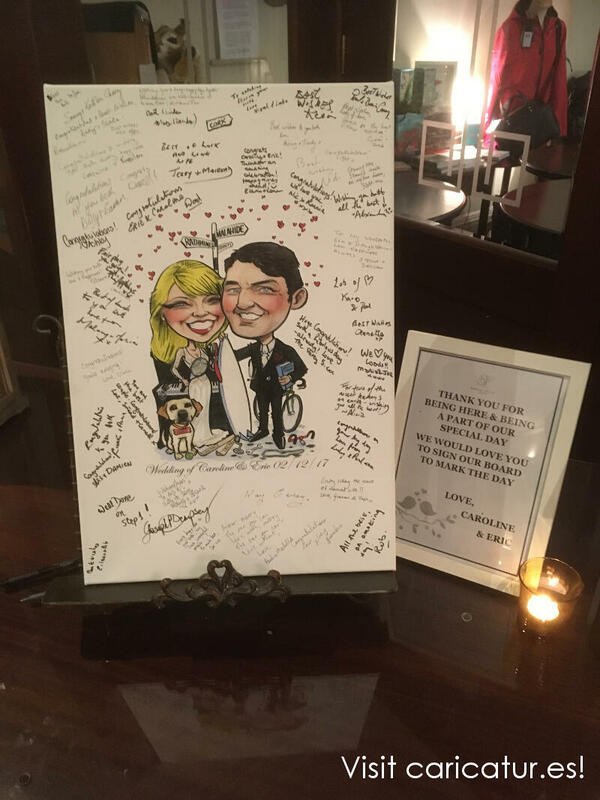 Find out more about my caricature wedding signing board guest book alternatives by clicking here! Wedding Signing Board: Kayaking and Dentistry! 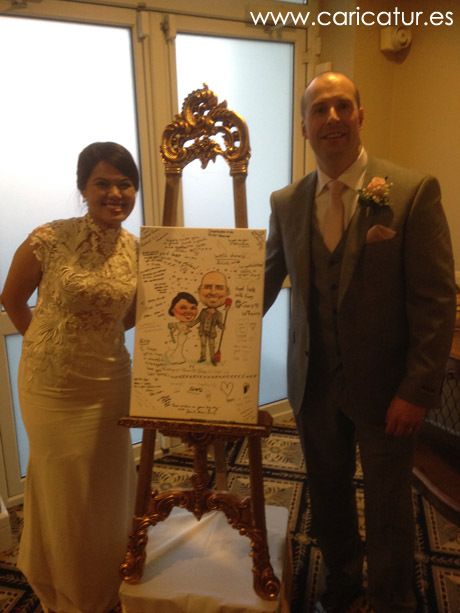 Congratulations to Anna & Gary, pictured here with their canvas caricature by me! 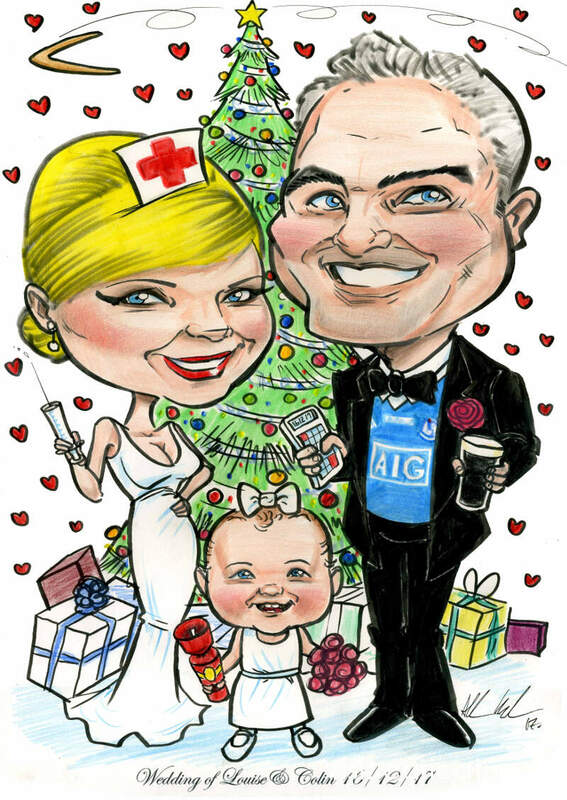 Caricature Canvas Wedding Signing Boards by Allan Cavanagh, delivery all over Ireland!